Beware of Black Spiderman’s weakness, Chickenite! 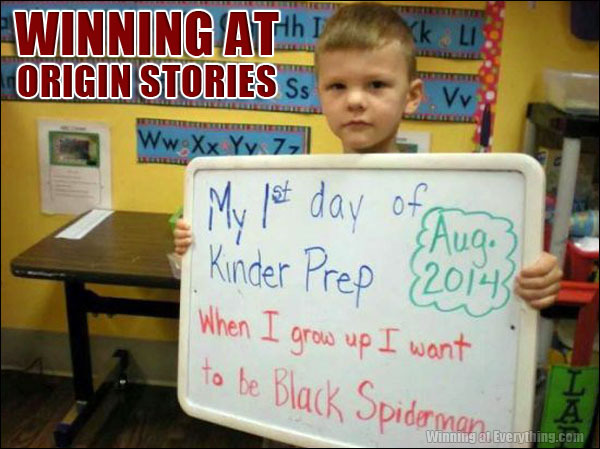 Kid, if you want to be any color Spider-man, please spell his name correctly. It’s SPIDER-MAN, not SPIDERMAN! There is a HYPHEN in there. RESPECT THE HYPHEN!